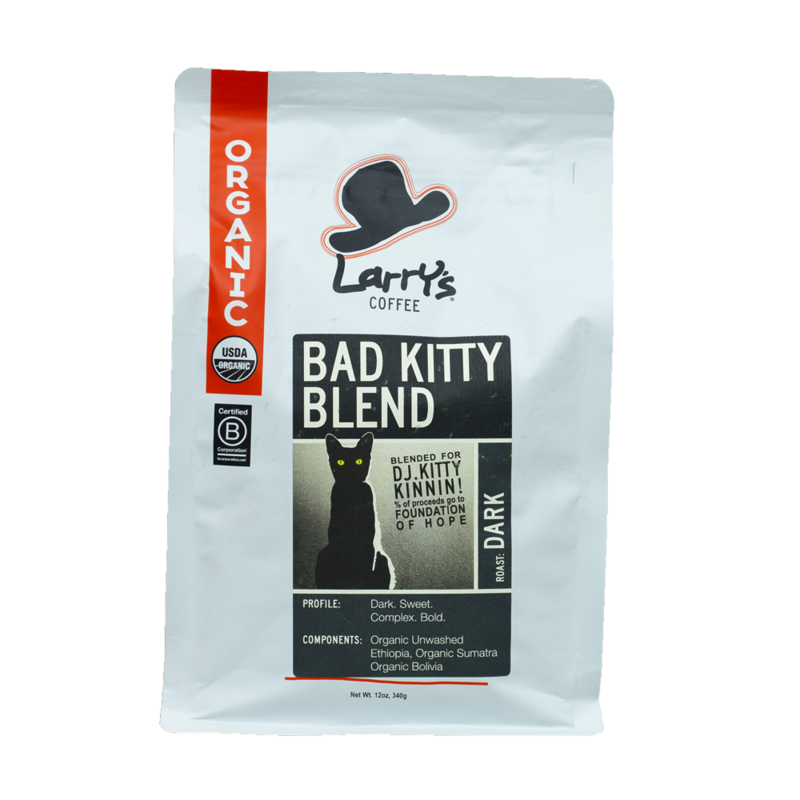 Dark, sweet, complex, and bold, this coffee was crafted especially for Kitty Kinnin in 2010 and is making a comeback this year to benefit the Foundation of Hope. Larry's will donate 10% of all your purchases to the foundation to help bring awareness to mental illness! The rich earthiness of Sumatra melds with the sweet bright berry notes of unwashed Ethiopia, taken to a full and robust roast that's dark without being burnt. A dark roasted Bolivia is blended to unite it all with a rich, creamy body and a hint of chocolate that weaves throughout, resolving in a long and lingering sugary aftertaste. It's rich, it's unique, it's complex.